The Bay Area’s high-octane job market is attracting talented workers from all corners of the globe, but the region’s severe housing shortage remains a major challenge, with three local cities posting some of the lowest vacancy rates in the U.S. In its Q3 2016 U.S. 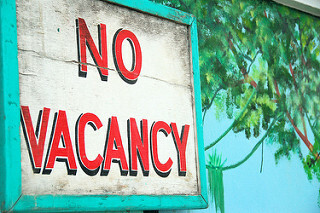 Residential Property Vacancy and Zombie Foreclosure Report, ATTOM Data Solutions says that about 1.4 million U.S. residential properties — 1.6 percent of the housing stock — are vacant as of the third quarter. Investment properties account for 76 percent of those vacancies, with speculators in the Rust Belt taking the biggest hits on tenancy rates. The report again underscores the extent of inventory constraints in Silicon Valley, which had the lowest U.S. vacancy rate in the first quarter of this year. Vacancy rates in the San Jose metro area remain at 0.2 percent, representing only 918 properties, tied with Fort Collins, Colorado, for the nation’s fewest number of unoccupied properties. The San Francisco and Vallejo metro areas are also exceptionally pressed for space, with respective 0.3 percent and 0.4 percent vacancy rates. A shortage of lots and construction workers is helping to push home prices higher, a problem that is particularly pronounced in the Western U.S. Citing survey results from the National Association of Home Builders, RIS Media reports that 64 percent of builders characterized the supply of available lots as low or very low this spring, the highest percentage since the poll’s inception nearly 20 years ago. Builders in the West are having the most problems finding land on which to build, with 39 percent calling lot conditions very low. Metrostudy Regional Senior Vice President David Brown identified 11 markets west of the Mississippi River with severe lot deficiencies — including Northern California — which will likely keep new home prices elevated for the foreseeable future. “As long as the supply remains constrained and demand remains strong, new-home prices will continue to rise,” Brown told RIS Media. First-time buyer interest is up significantly from one year ago, and so are the challenges facing prospective young homeowners. According to a blog post by Realtor.com Chief Economist Jonathan Smoke, 51 percent of respondents to an August survey identified themselves as first-time buyers, up from 35 percent in August 2015. At the same time, almost double the amount of those polled said that qualifying for a mortgage and improving credit scores were issues they need to address compared with one year earlier. Down payments also remain problematic for first-time buyers, with 25 percent citing a lack of funds as an impediment to homeownership. Smoke recommends commonly noted but always relevant tips for first-time homebuyers: Improve FICO scores to above 700, understand local down payment trends, organize financial and debt records, and get preapproved by a lender. Mortgage rates dropped last week and remain near historic lows, helping to fuel an uptick in refinancing activity. According to Freddie Mac, 30-year, fixed-rate mortgages fell to 3.44 percent for the week ended September 8, down on both a weekly and annual basis. Fifteen-year, fixed-rate mortgages averaged 2.76 percent, also a decline from the previous week and year. In a statement accompanying the numbers, Freddie Mac Chief Economist Sean Becketti attributed the U.K.’s June vote to leave the European Union as a contributing factor in low interest rate and robust refinancing trends. “Since the Brexit vote, the refinance share of mortgage activity has remained above 60 percent,” he said.